Scientist Oliver Norfleet and his college buddy Spencer DuPogue are called by the Board of Science, to investigate a mysteriously expanding red blight that is growing around the site of a meteor crash. With the help of the daughter of a famous scientist, they soon discover that the blight is not only alive, but that it consumes nearly everything in its path. When their own abilities prove inadequate, they are forced to turn to the greatest scientific minds that history has to offer. 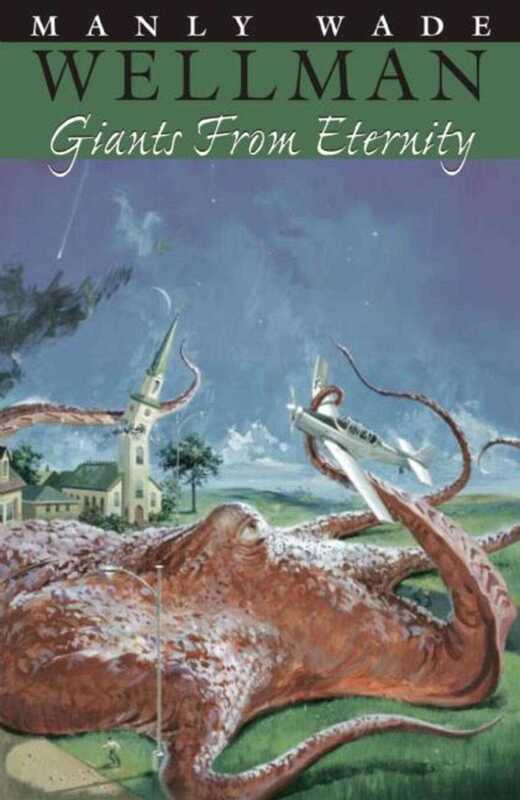 Can Norfleet and DuPogue and the Giants from Eternity stop the blight before the entire Earth is consumed? Also includes the novella The Timeless Tomorrow. The Lost Wellman series is dedicated to bringing back into print the fiction of Manly Wade Wellman that has languished in the pulps, un-reprinted for decades and unavailable to a general readership. Night Shade’s earlier series, The Selected Stories of Manly Wade Wellman brought together the weird and supernatural fiction for which he was most famous. This new series demonstrates Wellman’s dynamic range of styles and genres – from science fiction, to fantasy, to adventure, to mystery fiction. It will further demonstrate that far from being only a master of the weird and supernatural, Wellman was a compelling master of all the genres he chose to work in. Under the guidance of Night Shade Books, series editor and Wellman scholar Jeremiah Rickert is working to present a unified, textually accurate set of Wellman’s “lost” work. Other titles in this series include Strangers on the Heights.